< Home | News | Blog | We knew facial recognition provided deterrence. Who knew it would improve the customer experience. We knew facial recognition provided deterrence. Who knew it would improve the customer experience. 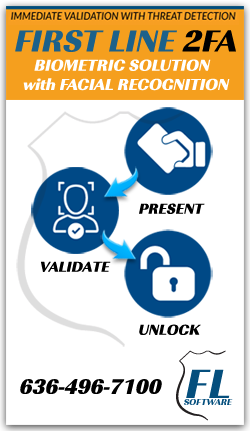 In our last Project Blue Line post, “Facial Recognition solution provides deterrence and improves store profitability and safety”, we presented information collected over a two year period. First Line Facial Recognition has had a significant impact on reducing robberies and police calls for service. The chart below depicts the before and after results. We did not anticipate, for a number of reasons, that the solution would have a positive impact on customer and employee satisfaction. The results show that improving store safety improved the customer experience, resulted in higher employee job satisfaction and reduced employee turnover. Customers, when asked, were pleased with steps taken by the store. Customers use words like “feel safer”, “appreciate the store owner”, “overall feeling of comfort” and “this store will be my first choice at night” in interviews conducted by Blue Line Technology.